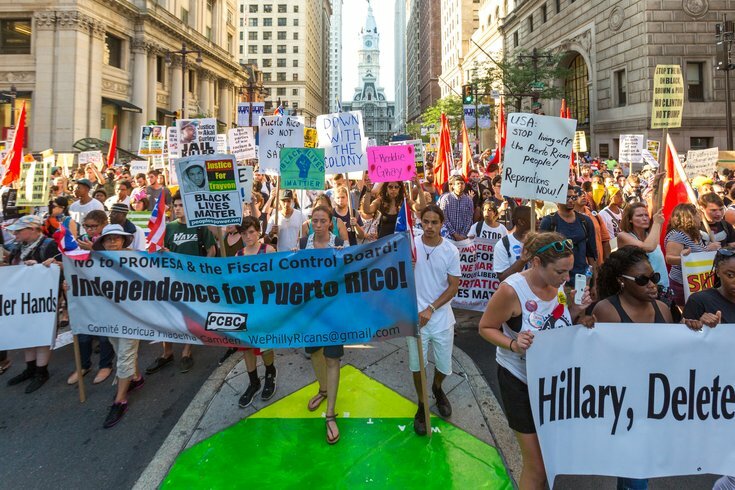 Protest groups march along south Broad street to the Wells Fargo Center in an attempt to "Shut Down the DNC." 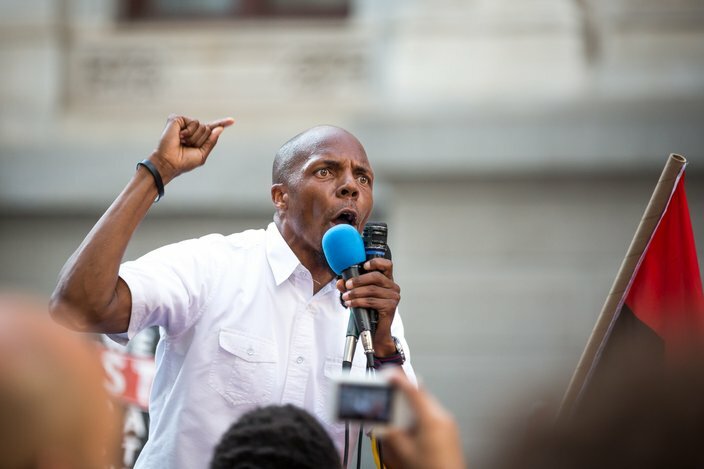 Protesters in support of the Black Lives Matter movement marched on Tuesday from North Philadelphia to City Hall then planned to continue to South Philadelphia, where the Democratic National Convention is taking place. 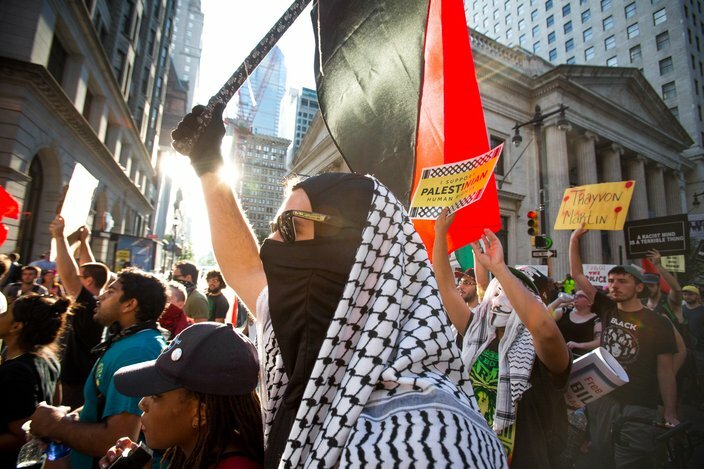 Hundreds gathered for what organizers call the "Black DNC Resistance March against Police Terror and State Repression," with the intent of marching down Broad Street at rush hour, after starting at Broad and Diamond streets, near Temple University, and then holding a rally at City Hall in the early afternoon. Protest organizer Scott Williams told the crowd the plan to shut down the DNC stemmed from a belief that the Democratic Party "offers nothing to the people of the United States"
He called Clinton a "mass murderer" and blamed the Democrats for starting nearly every war America has been involved in during the past 100 years. "We know that they (the Democratic Party) do not represent peace," Williams said. Other demonstrators talked about various other reasons for the march. Larry Holmes, co-director of the World Workers Party in New York, said police haven't been doing enough to protect black people. 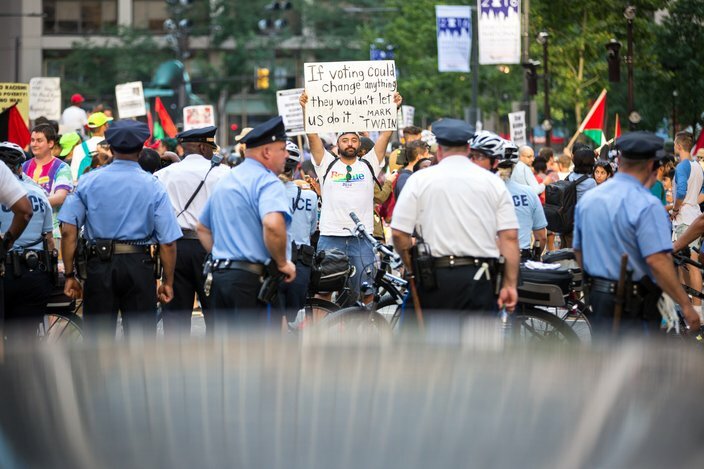 Black Lives Matter protesters joined with other protest groups at City Hall on Tuesday evening before continuing south on Broad street, to the DNC. "They aren't here to protect us," Holmes said. " They are here to protect the status quo." Amy Roat, a school teacher at Feltonville School of Arts and Science, said the fight for Black Lives Matter is about more than just black people: "It's also a fight against a system that doesn't care for schoolchildren or the poor." She talked about her school's lack of a full-time nurse and said politicians need to find better ways to fund education. "Poor white people have the same problems as poor black people," Roat said. "We need to tear this racism down." Participating in the rally were members from a variety of organizations, including the International Action Center of New York and Philadelphia, the MOVE Organization, the Philadelphia Coalition for Racial, Economic and Legal Justice, the Black and Brown Workers Collective and others. Philadelphia Police Commissioner Richard Ross and his officers were on the scene for the rally at City Hall. Shortly before 6 p.m., Ross estimated at least 1,000 demonstrators had gathered. "It's been a peaceful protest," said Ross at City Hall. "People, even those who have a problem with police, have been very peaceful and respectful, so far."